Thank you for taking the time to review how we can facilitate the needs of the families you serve. 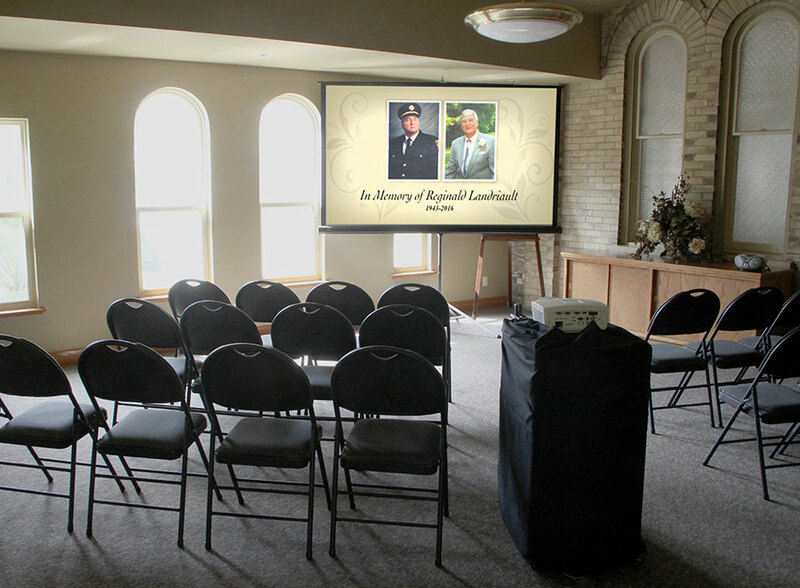 We offer a video recording service to capture funerals, memorials, and celebration of life events that can be shared with family and friends who are unable to attend the service due to distance or other commitments. As well, we are able to project video and audio of the service to overflow seating areas as required. We can do this at your facility, the church or preferred venue of choice. Typically we are able to upload the full service within 24 hours to a private web link for the family to share. We also provide 3 DVD copies that are ready within a few days after the service. We also offer live video streaming so those not able to attend can collectively share in the experience, as it happens. Listed below are a few services that we recently recorded. 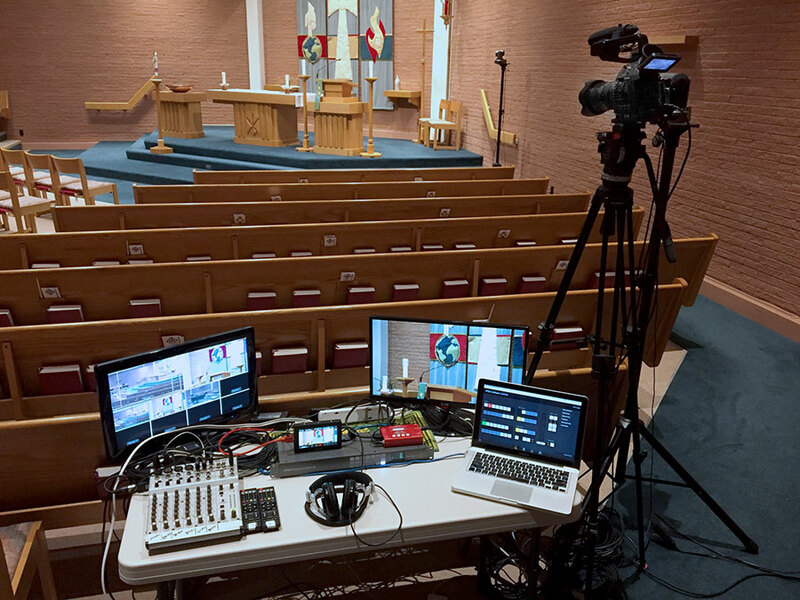 This service was recorded with 3 live switched cameras and projected to two overflow seating areas. Here are a few images for you to see our set-up. 3 autonomous cameras, also visible in the shot. 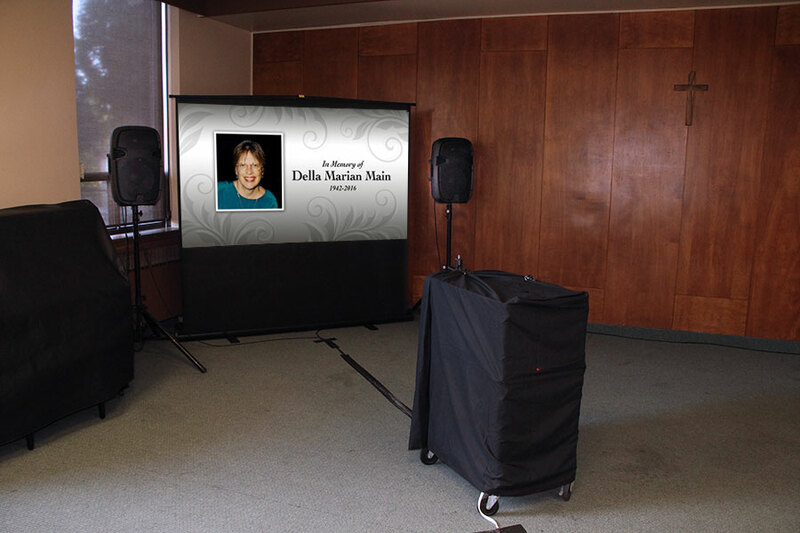 Video projection and audio amplification prior to seats being set up in the overflow room. Video projection with no audio amplification in one of two over flow seating areas. Audio was transmitted via the church's sound system.